View More In Tool & Gadget Sets - Page 4. The Fish Scaler Remover lets you remove fish scales easily,quickly and safely. 2 in 1 Peeler and Julienne Slicer Cutter Feature: Peeling vegetables, potatoes, carrots,apple,peach. This is a MUST-HAVE Chef-Inspired kitchen tool with sharp vegetable peeling blade! Small Utility Knife perfectly controls slicing, peeling and cutting fruits, vegetable and meats. 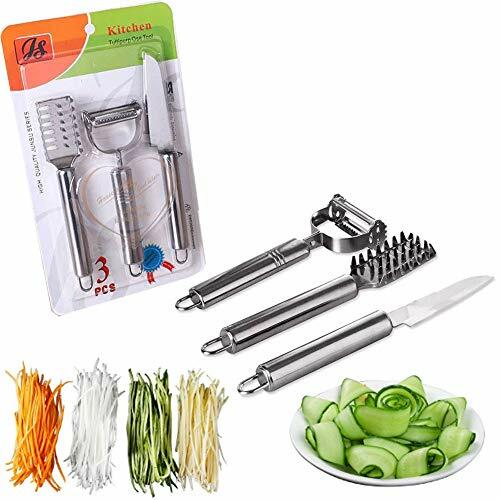 The perfect kitchen gadgets set is made of premium grade stainless steel.They are sturdy and durable, anti-oxidation and corrosion-resistant. Super easy to Store with hook ring at the end of the hand.Ergonomic design for easy handling and firm grip. If you have any questions about this product by Speder, contact us by completing and submitting the form below. If you are looking for a specif part number, please include it with your message.